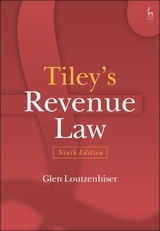 This is the ninth edition of John Tiley's major text on revenue law, now restructured to cover the UK Tax system, Income Tax, Capital Gains Tax, and Inheritance Tax, as well as incorporating sections dealing with Corporation Tax, International and European Tax, Savings and Charities. This new version of Revenue Law is fully revised and updated for the latest case law, statutory and other developments. 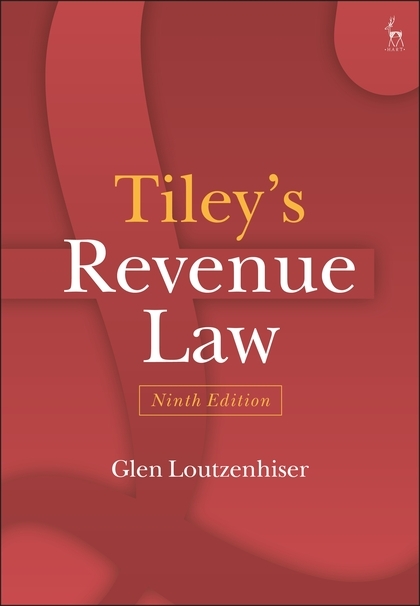 The book is designed for law students taking the subject in the final year of their law degree course or for more advanced courses and is intended to be of interest to all who enjoy tax law. Its purpose is not only to provide an account of the rules but to include citation of the relevant literature from legal periodicals and some discussion of, or reference to, the background material in terms of policy, history or other countries' tax systems. Dr Glen Loutzenhiser is Associate Professor of Tax Law at the University of Oxford and Tutorial Fellow of St Hugh's College.